We live in the instant age, which we can tie directly to the mesmerizing advancement of technology. On the surface, this makes our lives easier. When I first began writing, I worked on a manual typewriter that belonged to my grandmother. In my twenties, I was thrilled to have an electric typewriter! So much easier on my fingers, and a lot better looking result on the page. When I got my first computer in the late 1980s, a used Atari 800, which came with a dot matrix printer, I thought I was in heaven. No more carbon copies, no more typing over mistakes with white tape or using white paint to cover them up! Talk about the wave of the future. By 1994, home computers were becoming commonplace. Our first was a Pac Bell 486. I barely knew how to turn it on, let alone use it. So I read the manuals for DOS and Windows 3.1 cover to cover until I understood how it worked. It soon became an everyday tool in my writing and a homework helper for my girls. Shortly thereafter, the dial up internet was born. Bills in excess of $50 a month, just to connect and stay online for a few hours a week. Hours to download any type of program or update. Disconnects along the way so you had to start all over. Today, I have the majority of my music collection, which is extensive, on a digital “cloud” located somewhere in Apple’s Universe. Music that is accessible instantly on my iPhone with the swipe of a finger, or, if I want to get really fancy, via voice command to Siri. Speak into the microphone, and she finds the song and plays it. If I miss a TV show, most are available via aps from the networks. I can swipe my finger again, and watch a full hour long show. Or a movie. I can watch video clips of everything to basketball instant replays to the latest news conference in Washington. Amazing. No other way to describe it. And as a writing instrument, the modern computer is far more elaborate than I ever could have imagined. When I was working on Elvis Presley, Richard Nixon, and the American Dream in the late 1990s, there was next to nothing insofar as research available on the internet. I had to check out books from the library, look at magazines and newspapers on microfilm, and then either photocopy or write down in longhand the information I was researching. Hoop Lore was done about 50/50, as more and more info became available on the net. If I were writing a non-fiction book today, I would expect that 98% of my research would be done from my office chair. All of that is well and good. But as technology evolves ever faster, we are beginning to see the downside. It reminds me of the series finale of the TV show, Battlestar Galactica. (The Sci-fi network’s remake, not the original.) In that final episode, we learn that several characters have lived through numerous lives, with the society in which they live always ending the same way: technology evolves to the point where it destroys humanity. Now, I’m not saying we’re going to be taken over by a mean generation of robotic Siris or anything like that. But, it is impossible not to see the effect this instant age is having on the younger generation. Think about that silly AT&T Universe ad campaign currently airing. A 6 or 7 year old boy rocking in chairs with his grandfather talking about how “back in the day” they had to watch TV in the room where it was hooked up. Or, the one that really irks me, the 12 year old boy talking to his brothers about how back in his time, it sometimes took a minute to download a song. I’m not sure who the brains at AT&T are gearing this nonsense toward, but for me, it’s so nauseating I would never consider switching to their service. As for our day-to-day lives, I have noticed people becoming more and more rude, more and more demanding. They want what they want, and they want it now. (Most don’t want to pay for it either, but that’s a rant for another day.) My husband sees this every day in his contractor’s business. Clients who take months to make up their minds about what they want. Then, when they finally decide, they call him and ask if he can put their kitchens in that afternoon. When he explains others are now waiting ahead of them, many get irate and do whatever they can to spread nasty rumors about his business. I am now seeing the same thing on Ebay. I used to do a lot of selling on there 10-12 years ago. The service was fairly new, and the people using it, buyers and sellers alike, were mostly civil. Others outright friendly. I would estimate that I had trouble with perhaps one out of a hundred customers. Today it’s more like one out of ten. People pay instantly with Paypal, and then expect their package to be sitting on their doorstep the next morning. I wish I could say I’m exaggerating. Lesley is right, of course. There’s no going back. 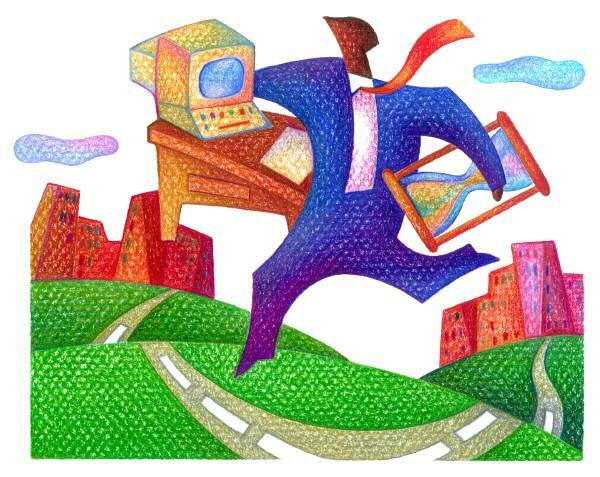 Technology changes on a daily basis, and we either strive to change with it or get left behind. I’m sorry to say that there are more and more days where I think I might just opt for the latter. All experienced writers know the major villains of our stories must have at least a few likable characteristics in order to for them to seem believable. This is based on the theory that every person, even a serial killer, has some good in him/her. I’ve known a few people (thankfully not serial killers) who I feel challenge that theory, but nonetheless, it is an acceptable rule of fact where fiction writing is concerned. If your villain is one dimensional, with only evil thoughts and deeds to judge, readers are apt to get bored and put your story down. The first major exception to this rule for me was Hannibal Lecter in The Silence of the Lambs. (I suppose, if you want to stretch things, you could point to his intelligence as being a “good” quality, but given he used that intelligence to kill people kind of wipes that theory away.) Naturally, the character became even more memorable once he hit the big screen thanks to an incredible performance by Anthony Hopkins. Many years have passed since Silence of the Lambs hit theaters, but I have finally discovered another exception to the villain rule: the character Anna from ABC’s V. If you aren’t familiar with the show or plotline, the V stands for Visitors, a race of aliens who have descended upon Earth intent on wiping out the human race and taking Earth as their new home. The humans don’t know this, of course. On the surface the Vs look just like humans. Beneath their fake skin, however, they are disgusting lizard creatures with vampire-like jaws and incredibly long tails that are used in various methods of murder. The Visitors are led by their queen, Anna. She skins her own people to gather information. She imprisons her mother in a dungeon. She uses her daughter as a prostitute. Her ultimate goal is to find a way to remove humans’ souls so she can convert their empty shells into a slave race. Aptly, the actress who plays this monster, Morena Baccarin, is incredibly creepy looking—pretty on the surface, but with eyes and facial expressions that mirror pure evil. I sincerely hope V is renewed for a third season so I can keep watching this dreadful woman. Why? Because I desperately want to see her fail. I want her shell game exposed. I want The Fifth Column, a group of humans working against the Vs, to succeed. It’s an elementary conflict, this good versus evil, but there’s nothing elementary about Anna. Just goes to show, rules truly are made to be broken. I waited a week before re-watching the LOST finale to see if my first impressions changed, only to find that my original conclusion—the show was all about the characters—is even more obvious the second time through. I had a tear or two in my eyes throughout that first viewing, mostly during the final few scenes. Last night, I was in tears for most of the final hour, and many spots during the first. All of the characters I had grown to love and care about over the past six seasons, each of whom was indeed “lost” when they arrived on the island, found their way to redemption. Jack saved the island, ensuring that life would go on and in the process finally accepted that death is a part of life; Kate proved to herself that she could be a better mother than her mother was; Sayid accepted he was a decent person worthy of forgiveness despite his past transgressions; Sun and Jin proved true love never dies; Sawyer learned how to trust; Hurley became the caretaker he was always meant to be; Locke’s faith was rewarded when he believed enough to let go; Ben learned he still has things to learn. Fans will continue to debate the overall message of LOST for years to come, and none of the conclusions that evolve from those discussions will be proven right or wrong. We all take away from the show what it gave to us on an individual basis. There is no absolute interpretation—and therein lies the point. As in real life, LOST was about life, death, and everything that happens to us in between. I’d like to take this opportunity to thank Disney and ABC studios for seeing what I know was an incredibly expensive and risky project through to the end. So often good programs appear and then disappear without warning, leaving fans frustrated. As incredible as it seems, LOST never achieved a regular spot in the top 10 or even top 20 shows for much of its run, yet ABC stuck with it, just as they promised they would. 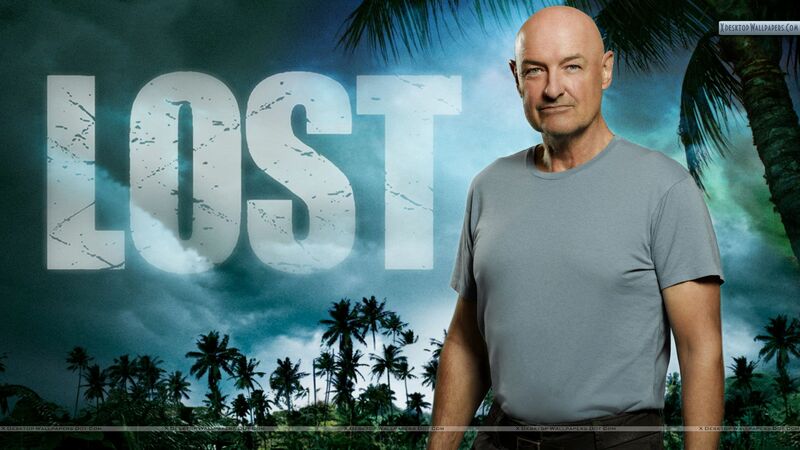 I’ve watched an incredible amount of television over the years, but I can say here and now without a doubt that I never enjoyed any program as much as I did LOST. And so, as Elvis would have said, thank you, ABC. Thank you very much.